One of the most popular door options for your home right now, barn doors have both functional and aesthetic benefits. Not only do they save space, they look great, and are more customizable than your average door. 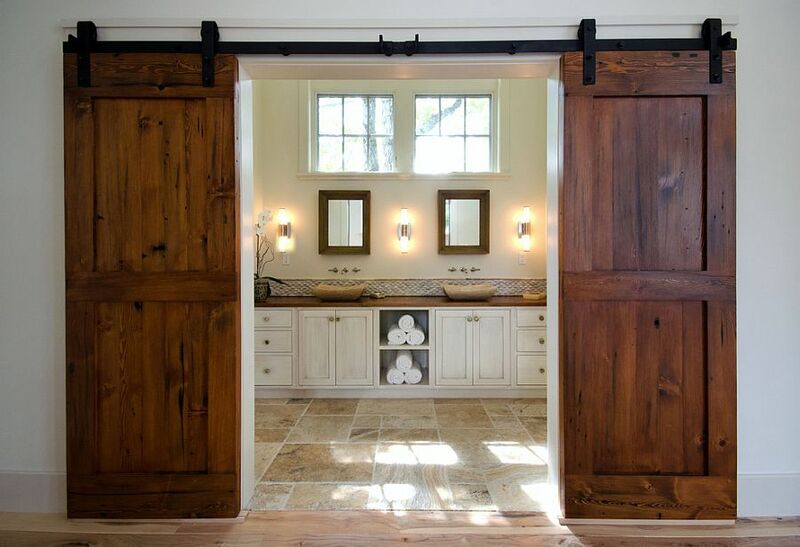 After you've decided on the style of your barn door, it's time to think about the hardware. Available in endless finishes and styles, it's best to have a few options in mind before shopping for the track system and hardware. Barn doors look excellent in your bedroom, home office, laundry room/mudroom, pantry, bathroom, and more. Double barn doors are a great alternative to french doors in a large opening. Local to Wake County, NC? Schedule a free in-home estimate to discuss your barn door options. Call (919)554-3707, or visit our Appointment Request page.